Available immediately & minimum 1-year lease is required. Nice 2 story 3 Br 2.5 bath 2 cars garage updated Geneva home! Recently renovated kitchen with granite countertops, new SS appliances, cabinets and backsplash tiles also flooring. The living room with newer wood laminate flooring & there are oodles of recessed lights. The family room is right off the kitchen & features newer wood laminate flooring plus an FP with gas logs. You will love the vaulted master bedroom with recessed lightings, ceiling fan & walk-in closet. Luxury master bathroom W/ cathedral ceiling, recessed lights, ceiling fan and walk-in closet. Master bathroom W/ skylight, ceramic tile floors & updated tile the soaking tub & walk-in shower. Finished basement features: recreation room with recessed lights and laminate wood floor, games room and Laundry area with washer & dryer. 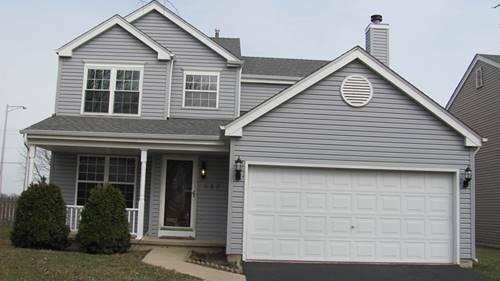 For more information about 650 Nichole, Geneva, IL 60134 contact Urban Real Estate. Listing provided by Stone Realty Inc.